decolorata (Staudinger, 1901); in Staudinger & Rebel, Cat. Lepid. palaearct. Faunengeb., 1: 56; TL: Kara Sagin, Samarkand? Karanasa maureri Avinoff & Sweadner, 1951 Ghissarsky Mts. Karanasa decolorata maidana Avinoff & Sweadner, 1951; Ann. Carnegie Mus. 32 (1): 64, pl. 9, f. 30; TL: Maidan Pass, Zaravshan Mts. Karanasa ansobica Shchetkin, 1986; Zool. Zh. 65 (5): 804; TL: Anzob pass, Ghissarsky Mts. K. j. josephi Alai Mts. Satyrus huebneri var. dissoluta Staudinger, 1886; Stett. Ent. Ztg. 47 (7-9): 245; TL: N slope of Transalaisky Mts. K. j. darwasica Avinoff & Sweadner, 1951 Darvazsky, Peter I Mts. K. j. jakobsoni Avinoff & Sweadner, 1951 Kichik-Alai Mts. K. t. talastauna Talastau Mts. ?Satyrus pamirus aulietana Bang-Haas, ? K. t. arasana Avinoff & Sweadner, 1951 W.Tian-Shan, Pskemsky, Sandalashsky, Chatkalsky Mts. Karanasa josephi arasana Avinoff & Sweadner, 1951; Ann. Carnegie Mus. 32 (1): 75, pl. 11, f. 6; TL: Arasan-Bulak, Tschotkal Mts. Karanasa josephi angrena Avinoff & Sweadner, 1951; Ann. Carnegie Mus. 32 (1): 74, pl. 4, f. 1-2, pl. 7, pl. 7, f. 9, f. 26, f. 15 (m.gen); TL: Angren plateau in Kuraminsky Mts. K. w. wilkinsi Turug-Art, At-Bashi Mts., N.Kektun Mts., Baubashata Mts.? K. w. robusta Avinoff & Sweadner, 1951 Alai Mts. K. w. dublitzkyi (O. Bang-Haas, 1927) N.Issyk-kul Dist. K. w. durana Avinoff & Sweadner, 1951 S.Issyk-kul Dist. Karanasa kirgizorum Avinoff & Sweadner, 1951 Kirghizsky Mts. Karanasa kirgizorum Avinoff & Sweadner, 1951; Ann. Carnegie Mus. 32 (1): 84, pl. 4, f. 20, pl. 9, f. 25, pl. 14 (m.gen); TL: Alexander Mts. K. l. intermedius (Grum-Grshimailo, 1890) Zaalaisky Mts. 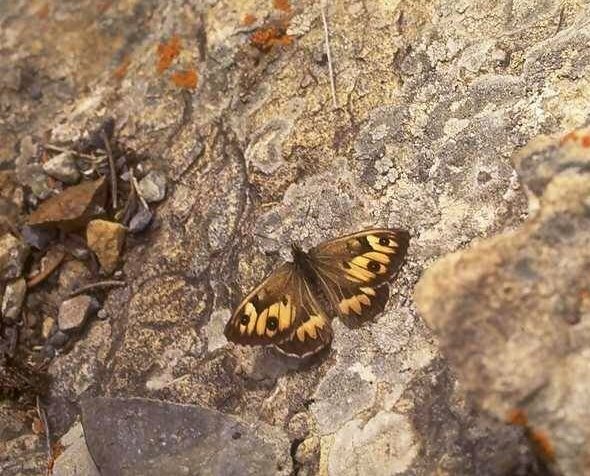 K. l. erubescens Avinoff & Sweadner, 1951 Peter I Mts. Karanasa hoffmanni (Christoph, 1893) Turkestansky Mts. Karanasa straminea Bogdanov, 1997 Vanchsky Mts. Karanasa straminea Bogdanov, 1997; [BRU], 251; TL: Pamirs, Vanchsky Mts., Gudzhovast River, 3500m a.s.l. Karanasa regeli ruckbeili Avinoff & Sweadner, 1951; Ann. Carnegie Mus. 32 (1): 100, pl. 5, f. 15, f. 23, pl. 8, f. 3, pl. 10, f. 21, 23, pl. 11, f. 20; TL: upper Great Burkhan river valley, Burkhansarytoo Mts. "West end of Boro Choro Mts., N. of Djarkent"
Satyrus tancrei Grum-Grshimailo, 1893; Horae Soc. ent. Ross. 27 (1-2): 128; TL: Alexander Mts.? Satyrus regeli var. regulus Staudinger, 1887; Stettin Ent. Ztg 48 (1-3): 59; TL: "Trans-Alai"
Eumenia regeli minutianus Fruhstorfer, 1911; in Seitz, Gross-Schmett. Erde 9: 308; TL: "Alai"
Karanasa abramovi lactaea Avinoff & Sweadner, 1951; Ann. Carnegie Mus. 32 (1): 114, pl. 5, f. 31, pl. 10, f. 22; TL: Yagatch-Art gorge, E part of N slope of Alaisky Mts. 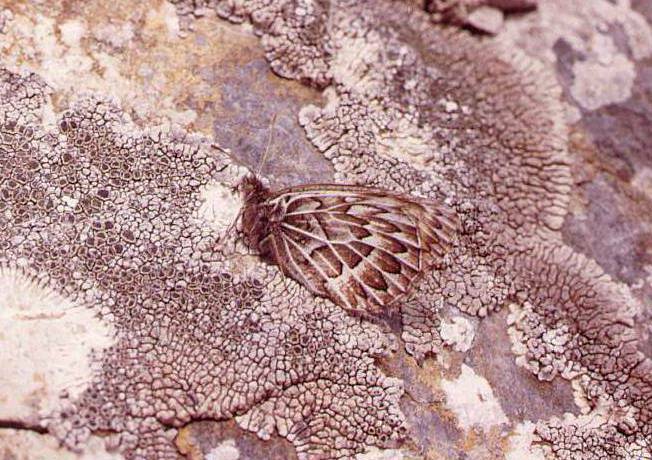 K. a. striata Bogdanov, 2001 Kirghizsky Mts. K. a. twomeyi Wyatt, 1961 Hindukush Mts. K. a. titan Wyatt & Omoto, 1966 Hindukush Mts. Satyrus hübneri [= huebneri] C. & R. Felder, ; Reise Fregatte Novara, Bd 2 (Abth. 2) (3): 494, pl. 69, f. 8-9; TL: "Lahul and Spiti"